Edisto Beach State Park Campground has a total of a 228 campsites plus 7 cabins available. There are 113 improved campsites and 115 RV campsites with water & electrical hookups. Several walk-in sites are also available. The campground can accommodate tents, trailers, and RV’s. Each campsite has a table, fire ring, and grill. At the campground visitors have access to WiFi, a camp store, dump station, drinking water, flush toilets, and hot showers. Edisto Beach State Park is large with 1,255 acre to explore. The park features a palmetto-lined beach, a dense maritime forest, and expansive salt marsh. There is also a day-use beach area for beach access as well as a 4 mile nature trail for visitors to enjoy at the park. A gift shop and snack bar are also available at the park. In addition to camping, visitors enjoy a wide range of outdoor recreational activities. Visitors can go to the beach and fish, swim, kayak, and go beach combing. Hiking and biking on the parks nature trail while enjoying the wildlife is also popular. The parks nature trail winds through the maritime forest with beautiful vistas overlooking the salt marsh. Hunting Island State Beach is another nice place to camp. It’s about 83 miles away and has 101 campsites. 12, 16, 24, 36, 74, 76, 87, 116, 122. Visted Edisto Beach State Park Campground lately? We'd love to hear about your adventure. Did you find us useful? Did we forget something? Anything our community should know before heading out to Edisto Beach State Park? Are there full hookups in this park or only electric? 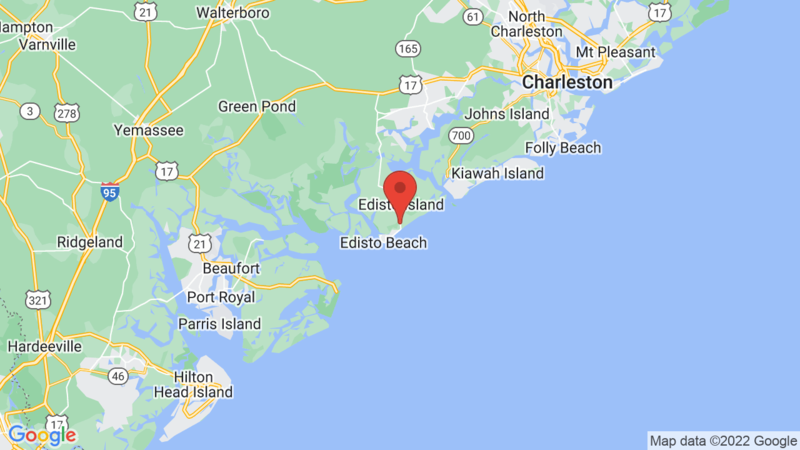 There are 115 campsites with water and electric hookups at Edisto Beach State Park, but there are no sites with full hookups. There are no pull-thru campsites at Edisto Beach State Park campground. Site 22 at the Beach Campground is a Pull Thru. It’s not listed as such, but it certainly is. #8 is a pull through and 12 should be unless something has changed. There is also a pull through by the first bath house in the beach campground. Been coming there for 40 years. Yes you are correct – sites 8 and 12 at Edisto Beach State Park are pull through sites. The campsite photos are correct.